For anyone who is thinking about trying CrossFit and are wondering what changes you can expect to see…. below is a fun list of 10 changes you will see. For those of you that have been living the CrossFit lifestyle for a while now… take a look and see if you can relate. 1. YOU WILL FIND OUT YOU ARE NOT IN AS GREAT OF SHAPE AS YOU THOUGHT YOU WERE. It is likely that your first few sessions at a CrossFit gym will be for an elements type class, teaching you the basic movements and what to expect. Once you step into your first class you will likely sweat like a pig and wonder how you are going to finish the last round. Good news – everyone else feels this way too – no matter how long you have been doing it. The great thing about CrossFit is you get out of it what you put into it. In the beginning that may be a lower intensity and/or lower weight, but soon you will no longer be the newbie and you will find your body can do so much more than you ever thought possible. 2. YOU WILL REALIZE WHAT IT TAKES TO BE A CROSSFIT ATHLETE. This is because you will realize that CrossFit Games athletes have the physiques of comic book superheroes. You will weigh 40 percent more than them but they will be somewhere between 50 and 150 percent stronger than you. It will make no sense that such “little” guys and girls are that much more powerful than you; it’ll be rather disorienting, especially if you’re a big guy who thought he was “strong” walking in. The instructors are not huge or freakishly jacked like traditional bodybuilders, but I wouldn’t want to bet against them in any contests of strength. The idea is to be able to lift heavy weights but in as efficient a manner as possible, and then to be able to run a mile in between sets. WOD: Workout of the Day, this is the combination of exercises, prescribed weights and time allotment that will be the law of the land from the first class to the last. RX: When one does the prescribed amount of weight and reps, one is said to have RX’d (this is typically the suggestion for those looking to be competitive athletes – it is normal to scale this weight to meet your goals). Box: CrossFit centers are not called gyms, they’re called “boxes” and many of them resemble just that. Typically they’ll be in large open spaces (think warehouse) with exposed ceilings and nothing but black mats covering the length of the floors. There are no smoothie bars or aerobics studios in one’s peripheral vision, just the iron bar (rig) you’ll hang from, the weights you’ll thrust up above your head and the ground you’ll drip your perspiration and occasional tears into until you feel as though you’ve become a part of the place. This is your box, there are thousands like it, but this one is yours. 4. YOUR FRIENDS AND FAMILY WILL START GOOGLING THE TERM CROSSFIT AND GIVING YOU WARNINGS. 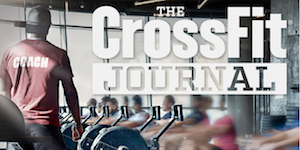 “Oh, you’re doing that Cross thing, I think I just read something about that…” Your friends and family will tell you how they Googled CrossFit or their co-worker’s second cousin’s brother did CrossFit and got something called Rhabdo. They will also come across stories about injuries and other shame stories associated with CrossFit search terms. The reality is that these types of injuries can and do occur with any kind of training if taken too far and under the wrong type of supervision or without using proper form. You are equally likely to be injured while ice skating, lifting weights alone, horseback riding, surfing or doing any other type of strenuous activity if you are engaging recklessly and not doing it properly. The best way to combat these concerns is to ensure them (and make sure you do this) that you have researched your CrossFit Box and you know all the coaches are certified and their main concern is the safety of their athletes. You will also want to assure them you participating in proper recovery and focusing on all the benefits that you are getting from CrossFit. 5. YOU WILL GET INSANELY GOOD AT COUNTING. All those fractions that you used to have to learn in school and thought you would never ever use them again… you were wrong. Everything in CrossFit is about reps. 20 clean & jerks followed by 10 box-jumps topped off with 30 sit-ups, then repeat five times and compete for time. Think about the counting, the counting down, the mental division of large quantities of reps into small, more manageable-seeming sets. “Okay, let me get five more then take a breath and then just three more and then only two sets left until I’m three fifths of the way through the five rounds.” This is the kind of conversation you’re carrying on with yourself in the heat of the WOD and you’ll become very proficient at counting backward as well — “seven more…six, five more, c’mon, four…” Whatever it takes to get you through. 6. YOU’LL BEGIN TO RESPECT ENDURANCE AND STAMINA. When you’re a kid, your idea of strength revolves around how much weight one can lift, how big someone’s biceps are, how many push-ups they can do, etc. If you haven’t yet grown out of this idea, you will upon beginning CrossFit. You will begin to be much more amazed at things like quad strength and core stability . You’ll be blown away by the ability of others to do hundreds of air squats or hold various static positions (hollow holds, planks, supermans). You will also find out what it is like to try and lift the weight on a barbell after you have been continuously running 400m or busting out calories on the bike. The good news – once you have been at it for a while you will find it is a lot easier to run a 5k – mostly because you are not stopping to bust out 10 Clean and Jerks every 400m. 7. YOU WILL GAIN WEIGHT AT FIRST. For those that have been living under the assumption that a lower number on the scale equates to being healthier may have a hard time with this one. Simply stated, because you are using muscles that possibly have been out of the game for years, you will be building those muscles rather rapidly, and muscle has a higher density than. So while you will definitely be shedding water weight puffiness and sweating like you’ve been on a 200 mile hike through the Amazon, you will most likely either see an increase in weight or no weight loss. This may drive you crazy… but don’t let it discourage you. Even though the scale may not be moving, you will be seeing results in other areas, like how your clothes fit, your mobility, digestive health and how you feel overall. 8. YOU’LL NOTICE AN UPTICK IN ENERGY, EVEN WHEN YOU’RE DEAD SORE FROM CROSSFITTING. This new-found energy comes from several sources. Not only will you find that your cardiovascular endurance will improve, but chances are you will be carrying less body fat. This means that you will have an easier time keeping up with your kids and getting more accomplished during the day. You will also find that you are getting a more restful sleep at night, leading to more energy during the day. The confidence and happiness that accompanies this will be rewarding in itself. Wait til you see the little and unexpected ways in which these benefits creep into your daily routine at home and at work! 9. YOU WILL LEARN ABOUT YOUR MENTAL WEAKNESS. 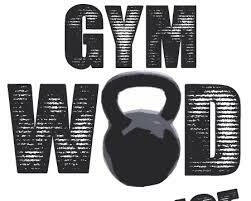 We all have been guilty of logging on to Wodify at 9pm to check the workout for the next and an uttering some unrepeatable words under our breath. This is usually when you start the inner dialogue that goes something like “I just did burpees on Tuesday and I’m still sore, maybe tonight will be my rest night and I’ll go tomorrow and Friday instead.” Cherry picking your workouts is a great way to avoid your weaknesses, but guess what? That means you are never going to get any better at them. Sometimes instead of hiding your weaknesses you have to confront them head on and highlight them. That’s what your coaches are there for – find a progression that works to get you closer to where you want to be. You may never get to a place where you are super excited to see burpees on the menu – but let’s be honest, none of us are ever really excited for burpees. 10. YOU WILL LEARN A LOT ABOUT YOUR MENTAL TOUGHNESS. You will find that you barely knew yourself at all before beginning this adventure. That you didn’t have a clue about what really motivates you to push yourself. During a WOD when you realize that you only have one round or one minute left, you will reach inside and pull out what it really takes to dig deep and push through to the finish. It’s there, and maybe you haven’t had to access it in years — decades — but when you finally do… what a feeling! Once you have felt this feeling once, twice or ten times… you are a lot less hesitant to step up your game and you realize what you’re capable of. 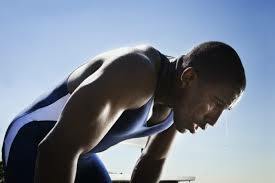 You will see this start to transition into your life outside of the gym as well. All of a sudden at home and at work you are willing to step up and go after what you want with a new sense of confidence and assertiveness. BONUS…. YOU WILL BECOME PART OF A CLOSE COMMUNITY. Probably the greatest thing that happens when you start CrossFit (besides all the health benefits) is becoming part of a close knit community. It is very unlikely you will ever be able to find a more supportive group of fellow athletes than in a CrossFit box. While everyone may have different personal goals, we all know what it takes to walk in that door everyday knowing you are going to be pushing your limits for the next hour. But the great news is, we all do it together! You will find that this group of athletes will not only be your cheerleaders during the WODs, but they will also become part of your support team out of the gym. They don’t just invest in your physical health, but love to hear about your day and adventures. These relationships are with people that you may have never encountered if it weren’t for CrossFit, but they will become invaluable to you.